Most Adventurous Things to do: Life is busy for one while long, happy and free for another. Every Person wants to do something different from his or her daily life routine. As change makes you feel alive in many ways. Sometimes we feel amazed to watch birds flying, fishes swimming and desires for the same. In this 21st century everything is possible but what you need is to have guts to challenge these adventurous and fun activities. Adventure is not only taking about unusual experiences, it is all about taking living. As doing an unusual activity for the first time needs a strong mindset as many people feel butterflies of fear in their stomach. But being adventurous is the greatest feeling of all time. So, who loves to explore more out of living being a sporty individual here you have with us most adventurous things to do in your lifetime. Experiencing a freefall is like being on the seventh cloud. 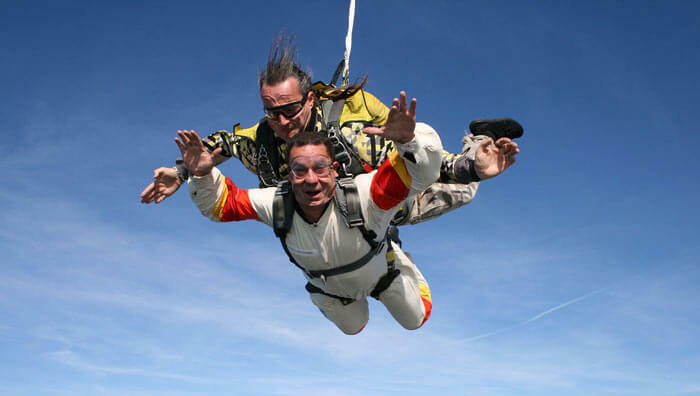 Skydiving is the most adventurous things to do in which you will have wonderful thrilling experience. You have to jump from an aeroplane or a helicopter which is at its maximum height. Sometimes people try to dive from about a height of 15000ft. With parachutes of their back, they jump out of the window and they have to open their parachutes as guided to them. As the parachutes open up the skydiver can feel free and enjoy the beautiful view from the sky. This is the most astonishing moment of a skydiver’s life. It is all about having a breakthrough experience in air. 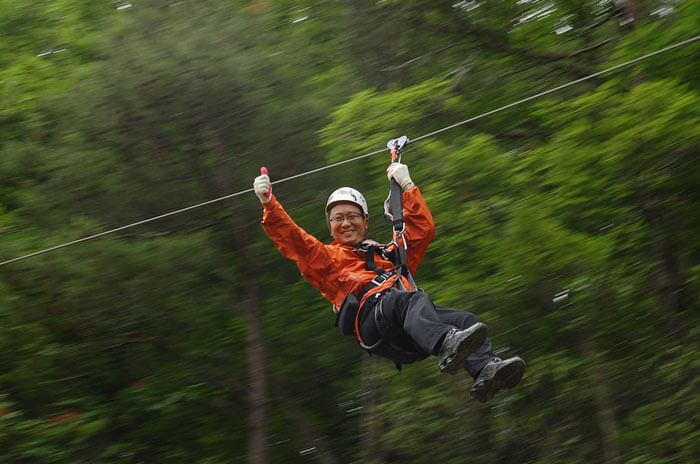 It is usu all treetop zip lining where the adventurous person is set at a fixed point and with the help of line carrier is set to another point. It can also be done in between of two valleys. Harness is present keeping in mind full security of the person. Zip lining is one of the greatest adventurous things to do and is filled with mind blowing experience. This zooming adventure is popular now a days and people love to do it more than once in hilly and forest areas. It is one of the most adventurous things to do and it is in latest trend. 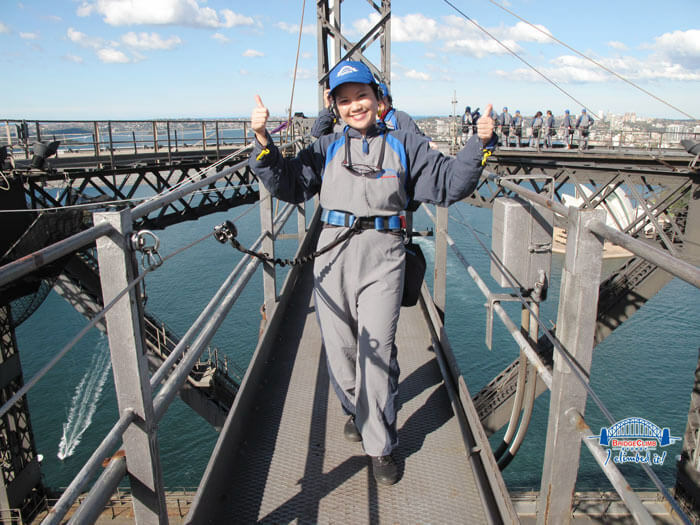 You don’t have to go anywhere else but to the legendary place of Australia, where bridge climbing will give you the best view of the city. It is an adventurous task with sight-seeing. It is really a classic sport. 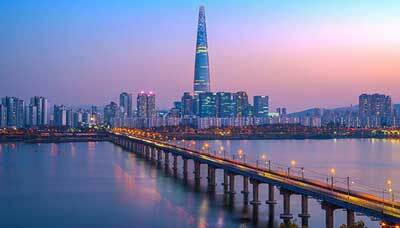 Many bridges across the world are famous for sight-seeing purposes. One of the most popular bridge of this kind is New Zealand Auckland Bridge. It is most adventurous thing to do as we can enjoy by ourselves with water. 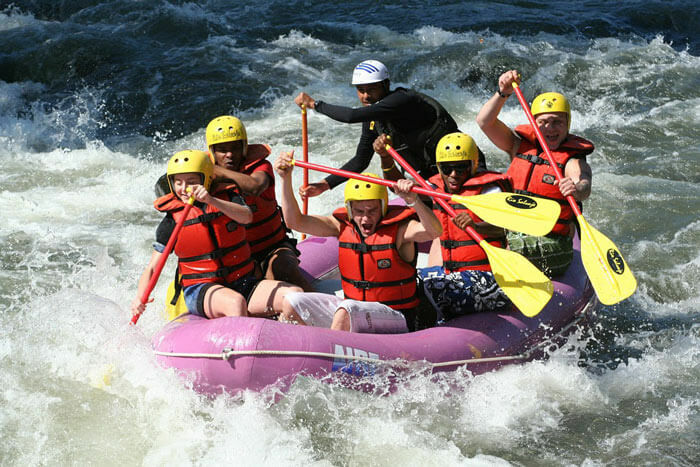 Rafting is basically a water sport in which you be attached by the waves of the river. It will be so much fun. This adventurous water ride is loved by everyone. It is usually done in chilled water coming from mountains and hence filled with thrilling experience. It also gives you the opportunity of watching the things with a totally different angle and perspective. 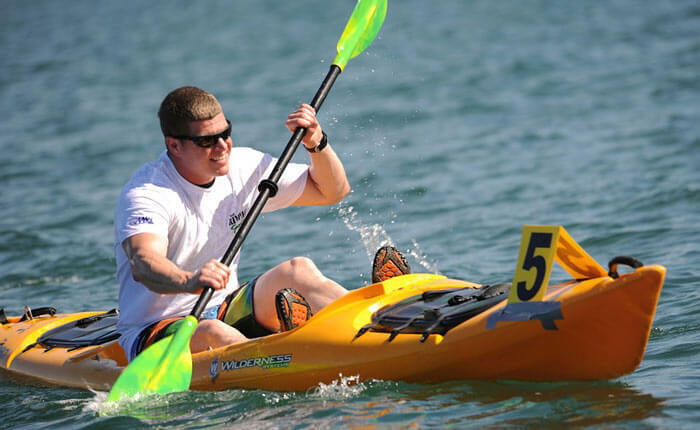 This adventurous sport is full of enjoyment for water lovers. Bungee Jumping is the most daring adventurous things to do that you must surely add in your to-do list. 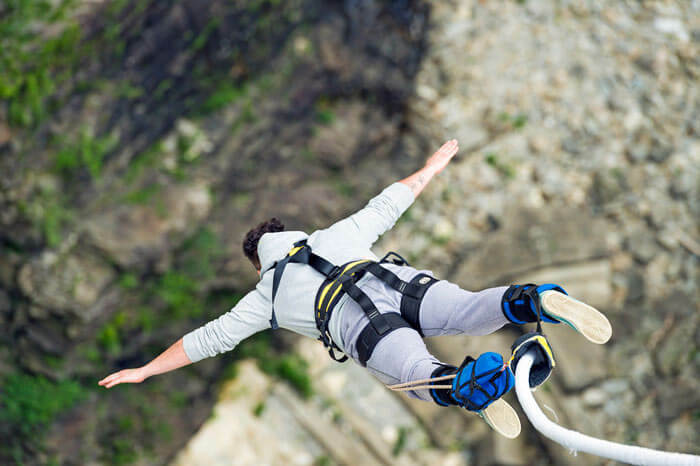 You will have the most terrific and incredible feeling during bungee jumping. If you love having a freefall and then just having a stop before you touch the ground, then buddy this sport is only for you. All your safety will be taken care off. In just fraction of second it takes your heart away. It is extremely important to be carefree and as it the most fragile but marvelous thing to do. Nothing can be compared to this experience. 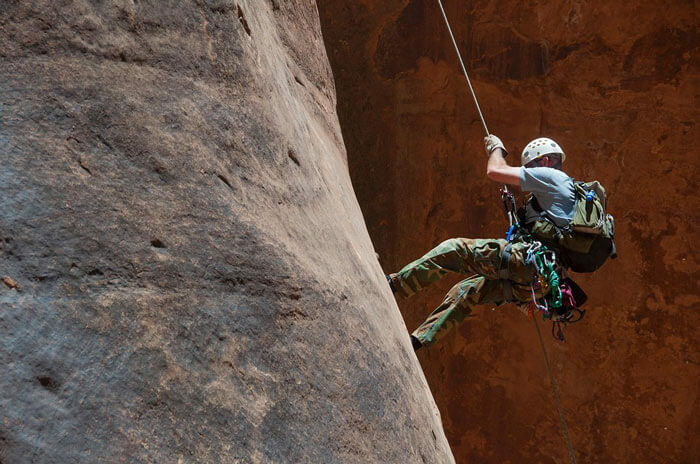 Rappelling is an adventurous sport which might sound easy but it requires energy, lots of courage and strength. You have to bend a little then at a certain angle you have to move down slowly without losing your grip. It is really nice way to explore caves under a waterfall. This activity is full of excitement and electrifying experience. It is gained so much of popularity worldwide that people risk their lives by rappelling at unsafe sites for more thrilling experiences. 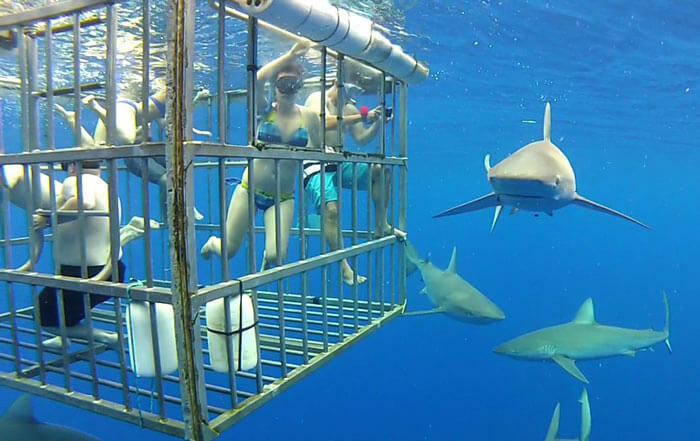 It seems exciting by its name as it is really fun to touch sharks while swimming with them. This experience is one of the most thrilling ones. You will able to see the depth of the sea. It is a most beautiful experience. The underwater world is unique and completely different from ours. It is famous at Corel World Ocean Park and many other places in the world. 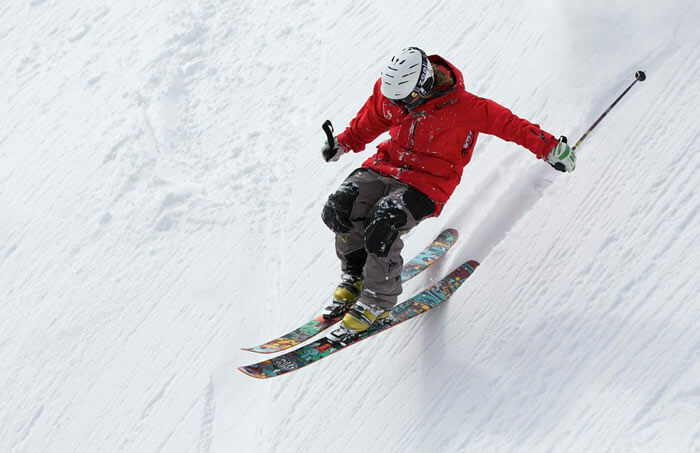 It is an extremely mind-blowing sporting activity as you will experience floating in mid air. Parachute is used with a harness for proper safety. It is the most popular activity of all time. It is full of fun. It is a cool recreational activity. It gives you stunning view of the location. This sport is enjoyed at its best from the month of September to March as climatic conditions are favorable for that period of time. It gives undoubtedly the most awesome feeling to the person. Caving is a resourceful and quirky adventure activity of all time. 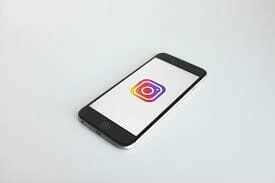 People who are curious to know facts about earth love to go caving. It is one of the most adventurous things to do. It is known as spelunking in the USA. 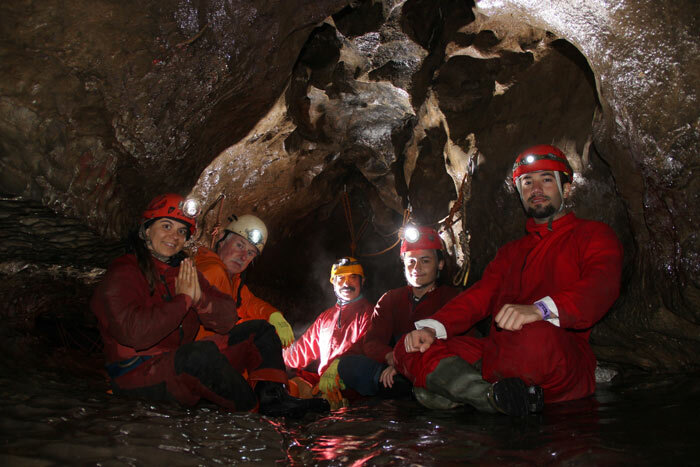 In this activity, you will get to know about caving system. This activity is exciting but at the same time challenging. You will provided with all the safety types of equipment. You will get an unexpected overwhelming experience. 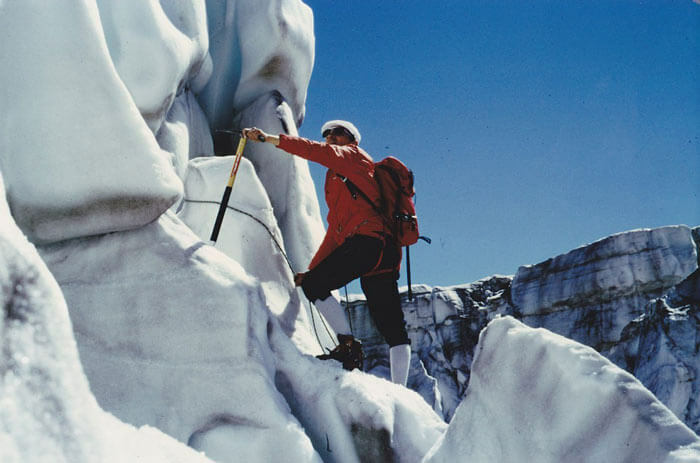 In Glacier Climbing is the most exciting yet challenging in a dangerous way. But, I know you love to have challenges in your life. So, friend you must try it out. 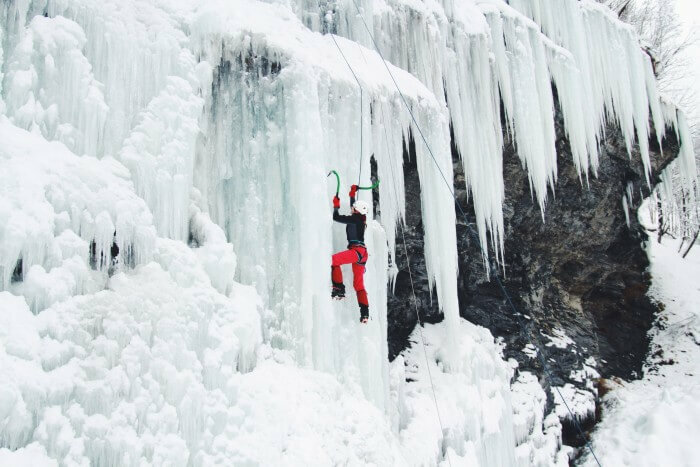 It requires you to know the basic nuances of ice axes and all the safety equipments like ropes and harnesses. You must also have basic knowledge of ice as its nature changes with the change in temperature. 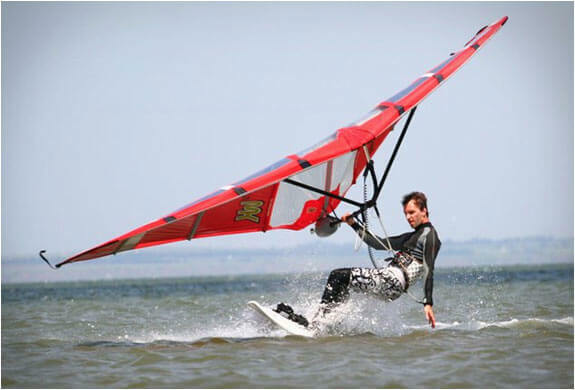 It is loved by all the adventurous and sporty people. In such adventurous things to do, you must take care of yourself a lot. It has a sail which is designed to use wind power. The wing is shaped up in a peculiar design which is surely necessary to lift up the rider. This activity gives the most amazing views of the location whether it is over a sea or valleys. You will fly like a kite in the sky. This experience is beyond explanation. It is beautiful and worth remembering. This is one of those adventurous things to do where you get extreme happiness. Biking is like rolling through the country side and pedaling fantastically down the steep mountains. Biking is a leisure experience for the adventurous person. Hence it is the list of the most adventurous things to do. 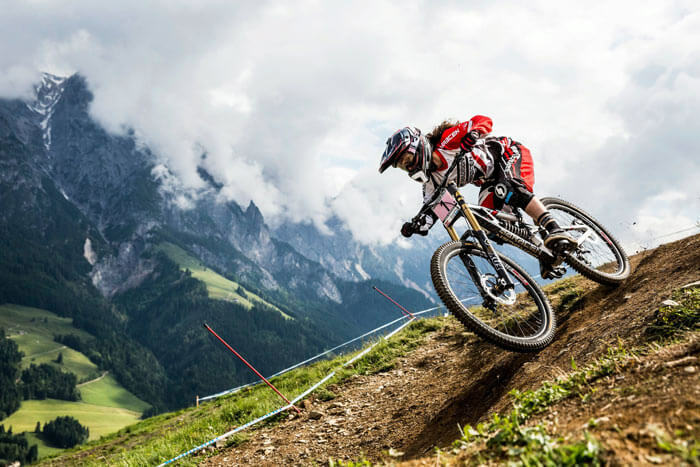 People love biking at dangerous roads having several twists and turns or they love to step down a mountain side. Some people love to take pedaling experience across beach front. It is wonderful to take feel of jungle on your bike and sometimes people amaze us by weaving between volcanic craters. For this unforgettable ride and thrilling experience riders take all the safety precautions. It is really awesome to do skiing on snow. It is one of the most attempted adventurous things to do and moreover loved by all the people. You need to balance yourself and it is considered as self powered recreational activity. You can plan a mountaineering skiing with your family and friend and it will be fun. It is like the time experience with you family and eventually the most memorable one. So, you must plan out your winter vacation skiing on snow. You need to learn skiing first and yes it is easy. 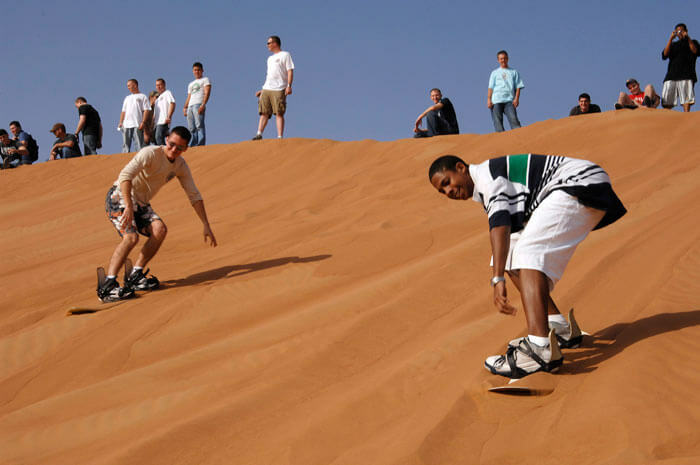 The most adventurous things to do in the desert is to take your sand board and enjoy this sliding downhill like experience. 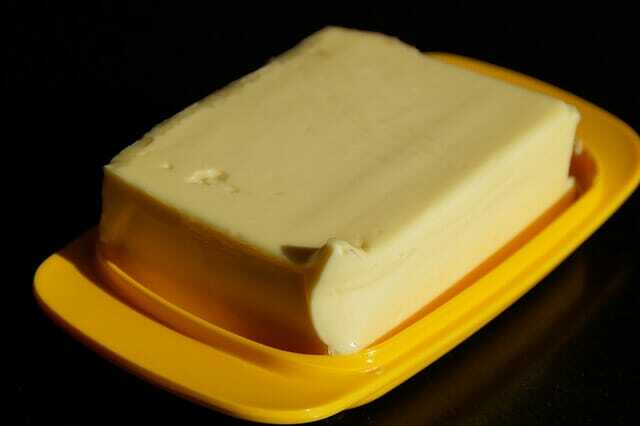 It is most popular in hottest areas of the world. You can try sandboarding in Pinnacles and many other deserts. People love to surf on sand and it is really fun. I mean even I could not imagine surfing in sand and that too in deserts. But see, what people are up to these days. You can explore this vast world through a different angle by kayaking and canoeing. It is an amazing recreational activity where you see Dolphins and turtles along the coast line. It is an beautiful and you can also navigate dimly lit sea caves and rowing through eerie in underground tunnels and it will so much. Therefore, this divine experience is one of the adventurous things to do. This activity is leaves you amazed by its wonderful sight-seeing experience underwater. Hiking is one of the eco friendly activities. It helps us to fully discover a landscape and our world is full of hiring routes. It is best way to explore different routes and it is full of thrill and adventure. Mt. Fuji in Japan is the most lovable and popular sight for hiking. World seems different and rather small from heights. 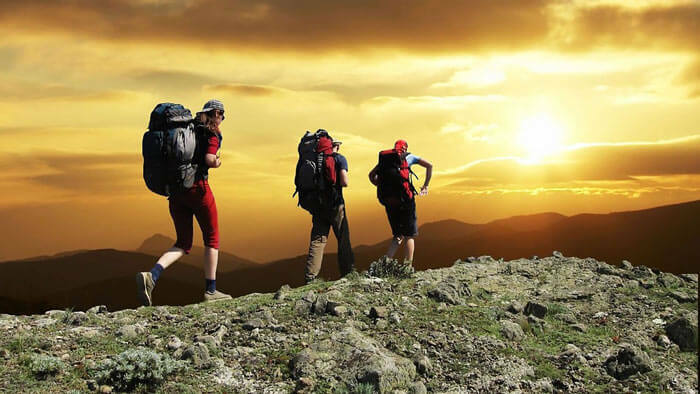 So, you must try be fit and active .So, that you can cherish the most amazing experience of hiking. Enjoy each step towards your goal in hiking. 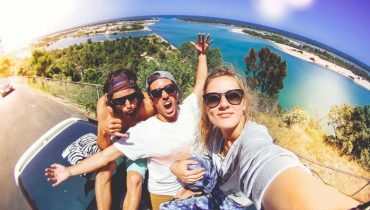 You must try out such adventurous things to do with your friends once in a lifetime. Whether you are doing it for the first time or you have its experienced knowledge, the thrill of catching fish yourself is undoubtedly amazing. It is beautiful underwater as we found different varieties of water species. This makes it surely into our list of adventurous things to do. This recreational activity has its own charm and the enormous sea is worth exploring. So, for being adventurous you just go out for an amazing fishing with your family. 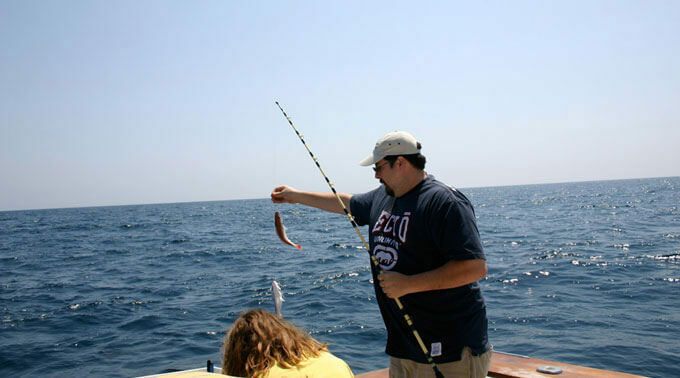 It sounds cool to go for deep sea fishing but I will say it is just awesome! Surfing is a traditional adventurous activity which is the most lovable among all the beach lovers. Surfing has its own fun and it gives the boarder a magnificent experience. You must try surfing on waves once in your lifetime. Then you will e able to cherish all the fun. Being a surfer is cool and this water sport gives you the ultimate rejoice enjoyment on the surface of water. Surfing is like playing with the ocean in a fun and thrilling way. Isn’t is just amazing to explore waves and ride on them like a true rock star? 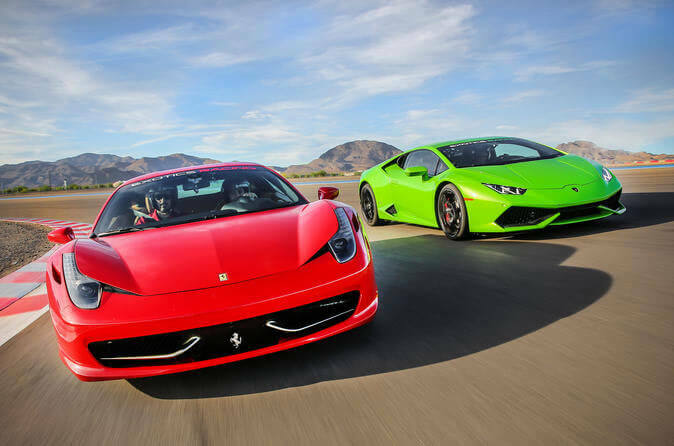 Yes, true exotic car driving is another most adventurous things to do, you must do as it must be one of the most happening dream for many to drive a sports car. Racing at high speed is really an ultimate and fantastic thing. People pick finest super cars for these races. It is an expensive sport but most popular. It is for the speed lovers. It is really famous in USA. Adventurous drives in the sports car will give you the most magnificent and inspiring. 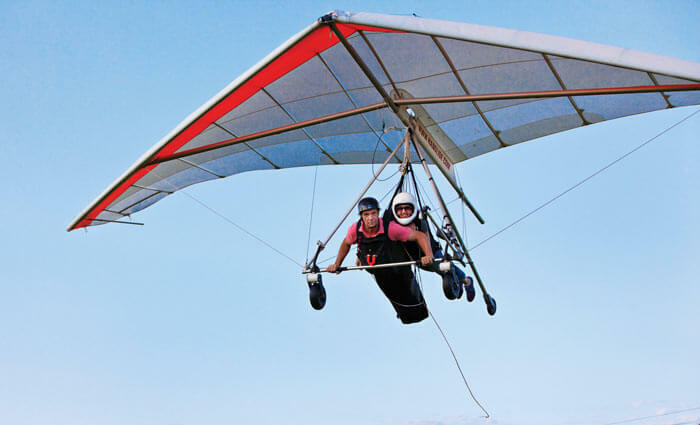 To be free like a bird, swooping and diving in air freely on a hand glider will give you the most memorable experience of all time. You will enjoy by yourself. Strong winds and high cliffs are the best weather conditions for Hang Gliding. You will have a thrilling and pleasurable sport fun in air. It is most exciting and one of the most adventurous things to do which you must try once in your lifetime. 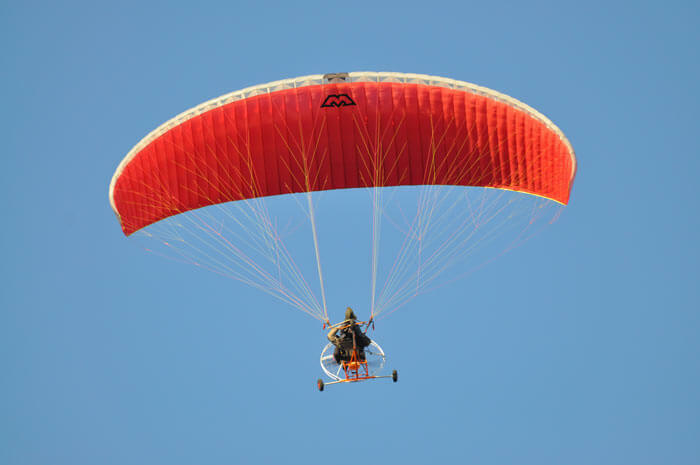 It consists of a non – motorized structure having wings and makes you feel lighter. Adventurous people are the active ones. They love to explore life and they want to live their life to the fullest. 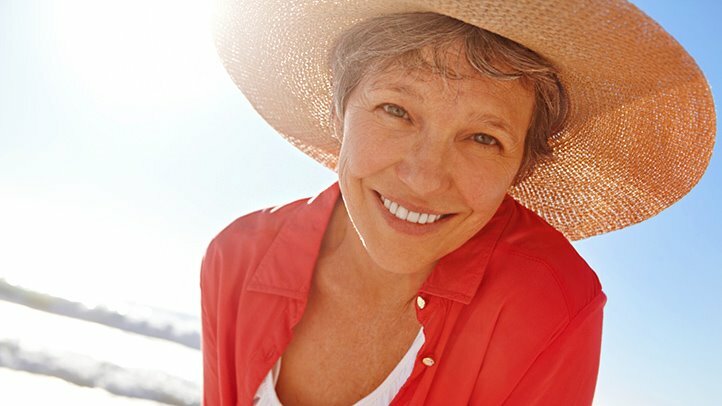 So, to have the most adventurous experience of your life by these activities and sports you must be fit and surely take prior safety measures. 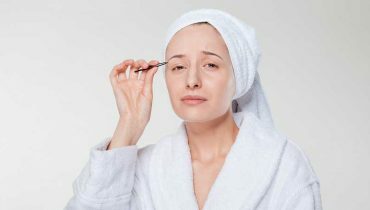 These are the most adventurous things to do that will provide you with the deep sense of excitement and complete relaxation. You will be free from boredom. If you want to have a short break from all the worries of your life.You must try your favorite recreational activity it will surely make you feel lighter and happier. With these most adventurous things to do, you can create a lot of memories with your family and friends. All these activities are done in amazing and different terrains and climatic conditions.